Pierrot the clown : for marimba [eScore] / Andrea Keller. Pierrot the clown : for marimba / Andrea Keller. Pierrot the clown / Andrea Keller. This piece is part of a greater collection of works called the Tivoli Suite. It is inspired by the pantomime characters of Copenhagen's Tivoli amusement park in Denmark. 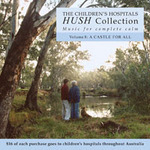 The music was composed with the intent to be recorded and played in the treatment rooms of the Royal Children's Hospital. Its aim is to comfort and soothe, provide a feeling of optimism, and make the hospital environment more pleasant. Commission note: Commissioned by Claire Edwardes. 14 Sep 2014: at Sunday Live (Harold Lobb Concert Hall, Newcastle Conservatorium of Music). Featuring Claire Edwardes.